Savvy Journey | Be savvy and enjoy the journey! I’d like to introduce you to our newest contributing blogger. She has partnered with Savvy Journey as our recommended Disney Travel Consultant! 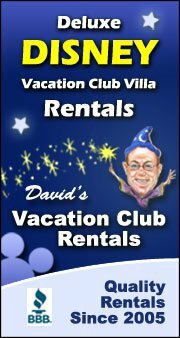 Valerie Chevalier has many, many years of experience with Disney Vacations and lives locally in Florida. You can read more about Valerie HERE. Here’s Valerie’s first post on Pixar Place at Hollywood Studios! One of the perks of living close to “the Mouse” is getting to see the new innovations at the parks as soon as they are revealed then sharing the inside scoop with you! Recently Hollywood Studios revealed Pixar Place just outside of the new Toy Story Land entrance. At first glance, it looks like a quaint alleyway which might make you ask yourself, “ Hmm, I wonder what’s down there”. After you’ve given into curiosity, you are immediately immersed in…Municiburg. Live action performers get you in on the super hero action- featuring casual meet and greets with Mr. Incredible, Mrs. Incredible and Frozone. The fun includes a dance party, limbo and freeze dance. Edna Meet and Greet. It’s in the AC…a great place to cool down, plus the queue is a fun display of all the super suits she’s designed. Both Disney photopass and self photo areas are available reminding you that You are indeed “Incredible”. Dash footprints, Jack Jack sightings, every billboard and window display are impeccably themed. Once again Disney details do not disappoint. So when you need a little break from the crowds swarming in the new Toy Story Land, I recommend swinging around the corner before ‘combustion is imminent” and recharge your ‘super suit’ at Pixar Place… for the ‘greater good’ …the whole family will thank me. Want more Disney? Check out all of my Disney World Posts! Planning a trip to Disney? Valerie’s services are completely FREE. To request information, just fill out the form you see in the side bar!